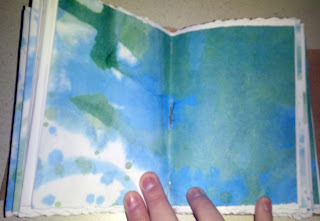 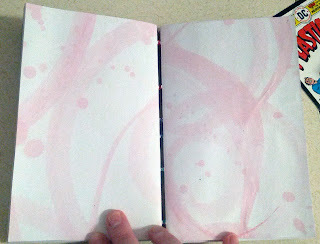 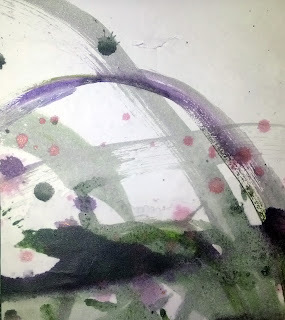 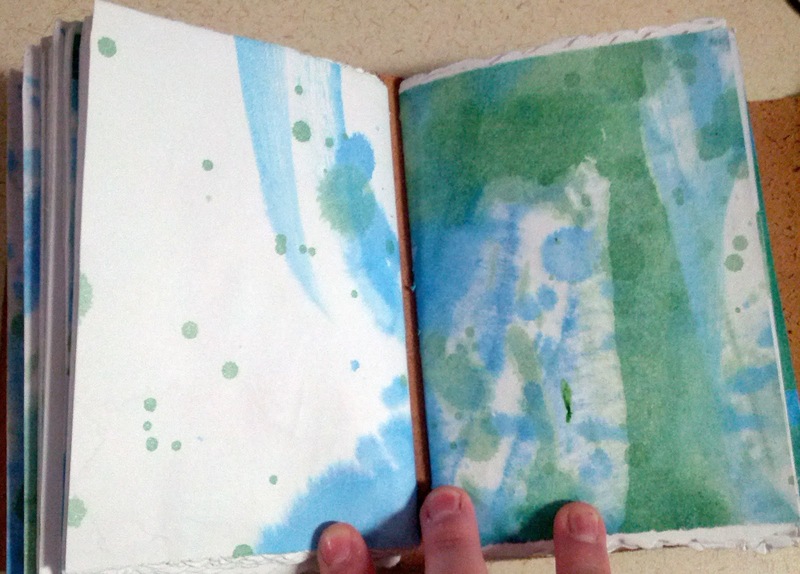 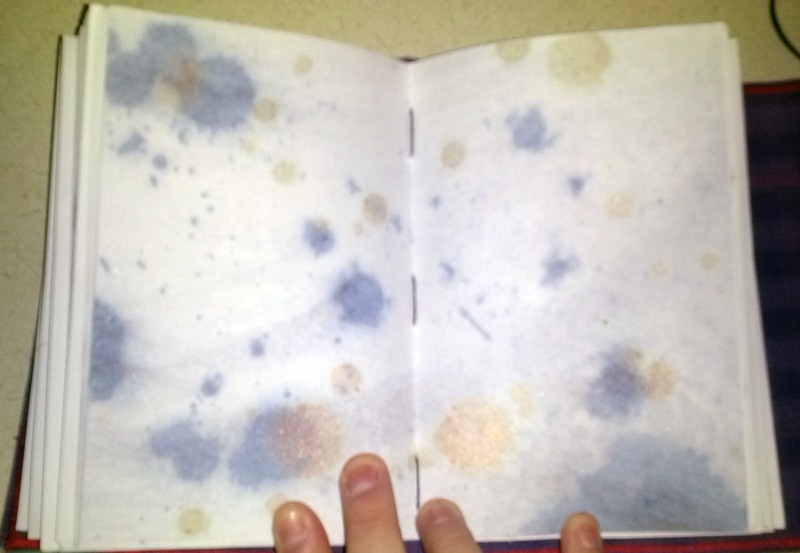 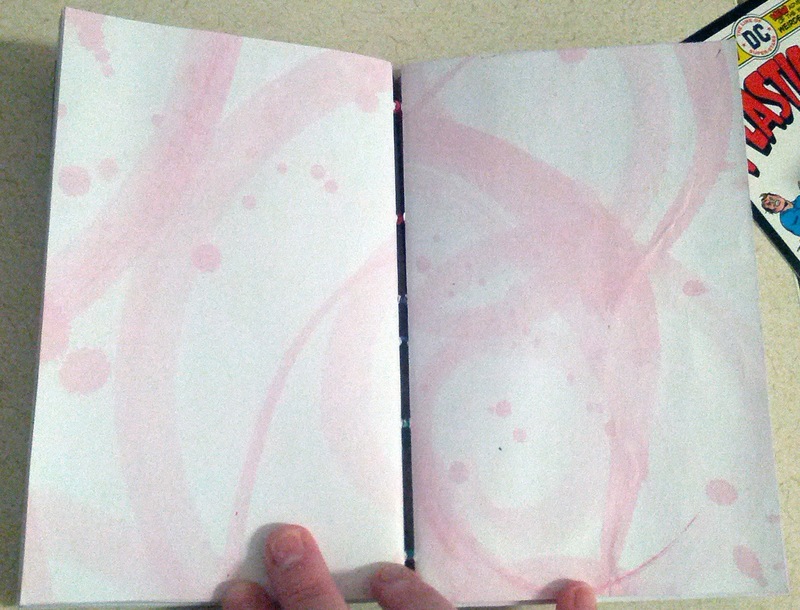 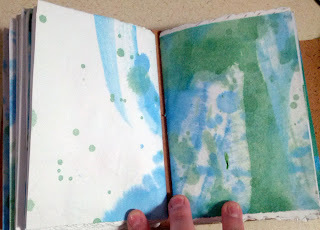 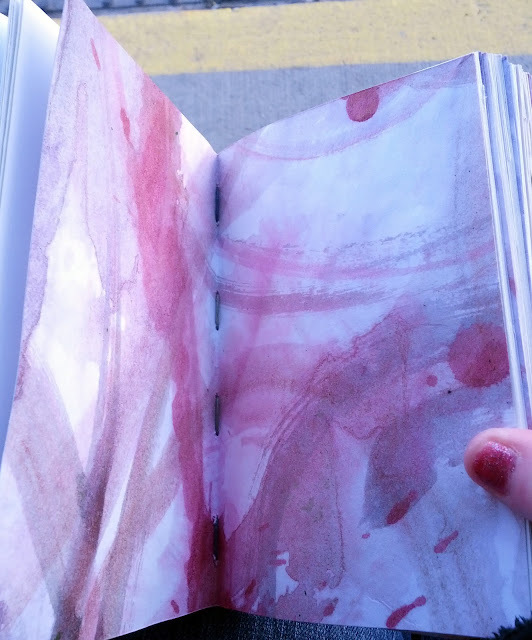 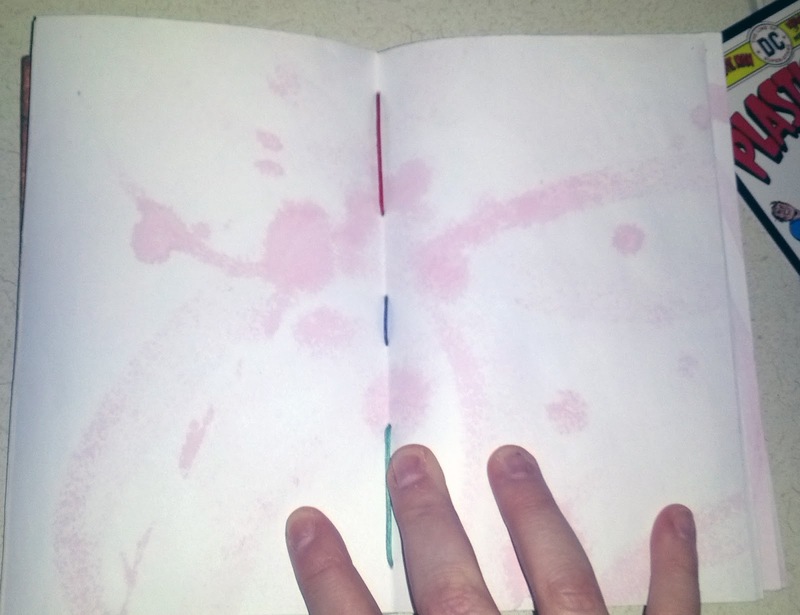 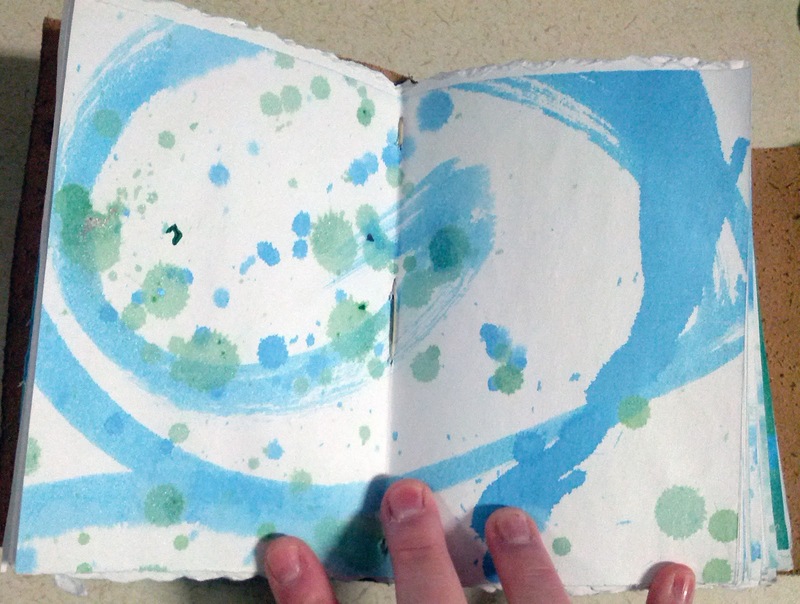 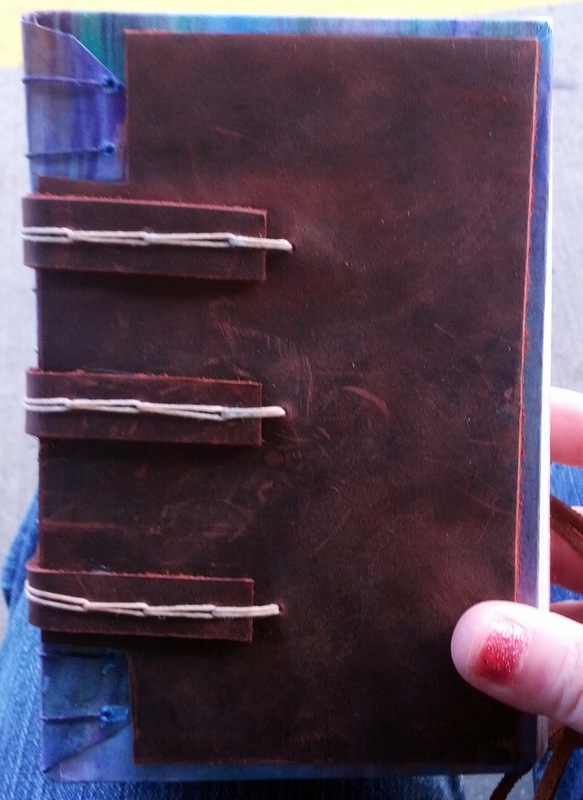 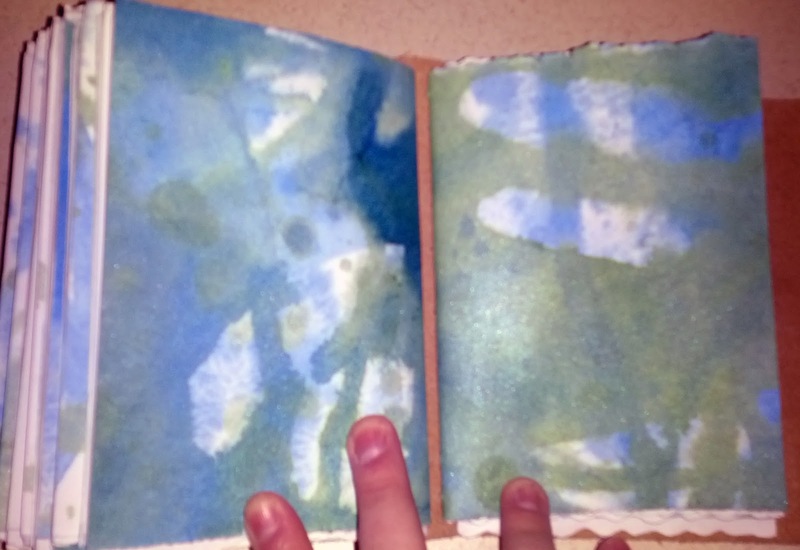 I'm still trying to decide how to show off the painted papers in the books I've been making. 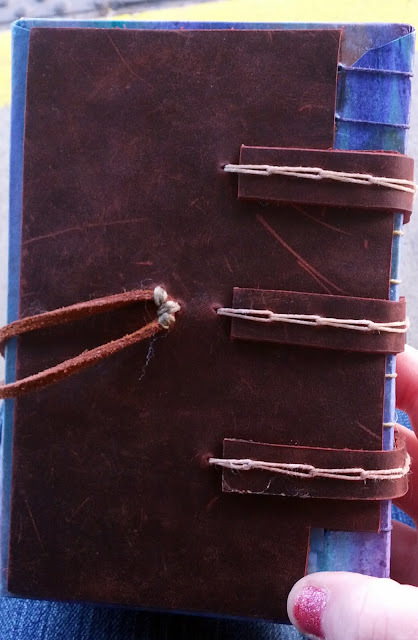 I want to do them all longstitch but coptic looks nicer. 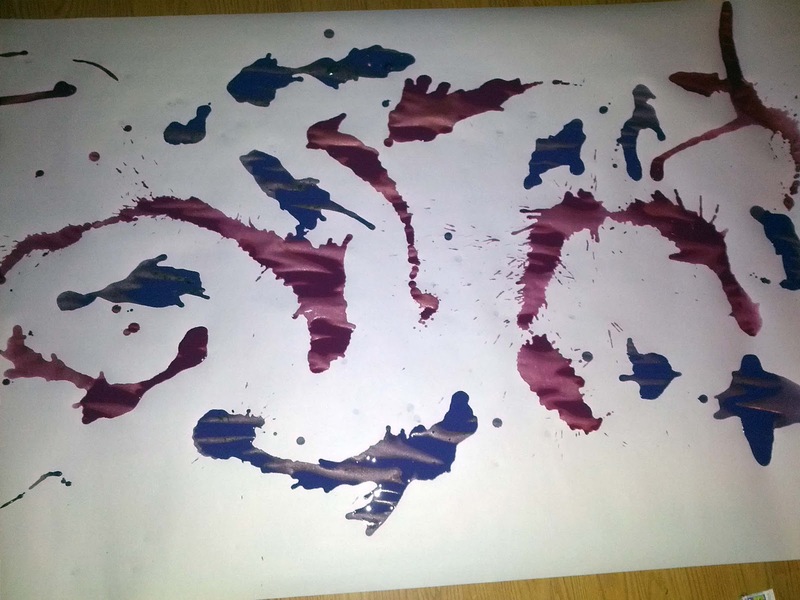 I did this one whilst watching a terrible horror movie. 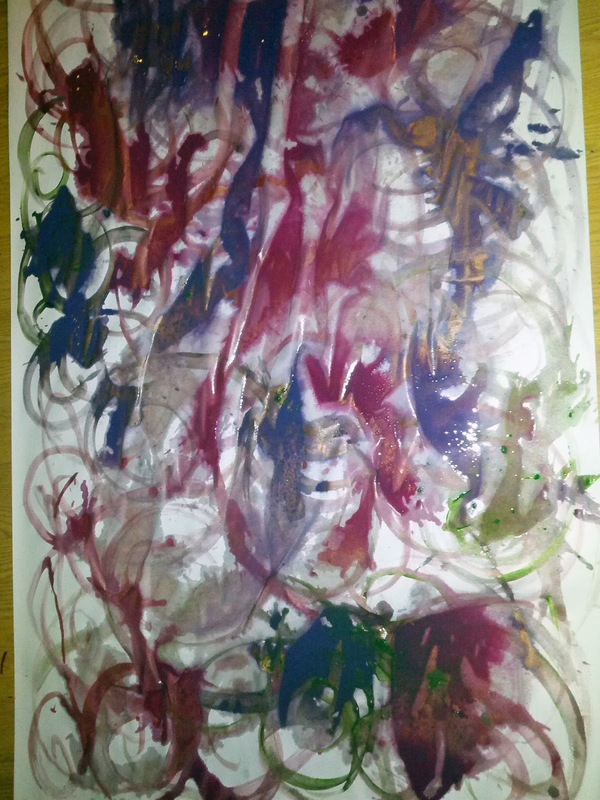 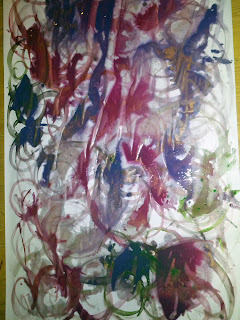 I like it better with more paint and sometimes I just want to throw colors all over a big piece of paper. I'm making a lot of books lately and I like to add a few sheets of hand painted paper. 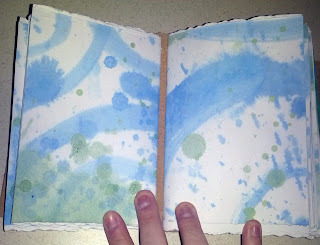 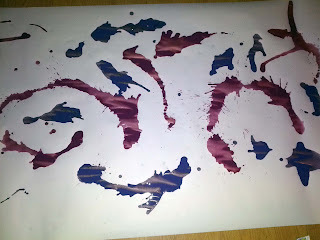 I start with a big sheet of paper, from a roll, and I lay it out and spray it with water so the edges don't curl. 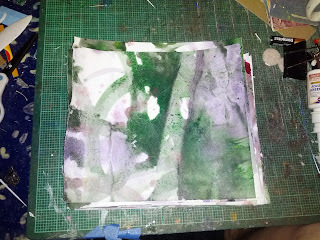 Depending on my mood I will mist it all really good and then drip, drop and paint acrylics all over it. 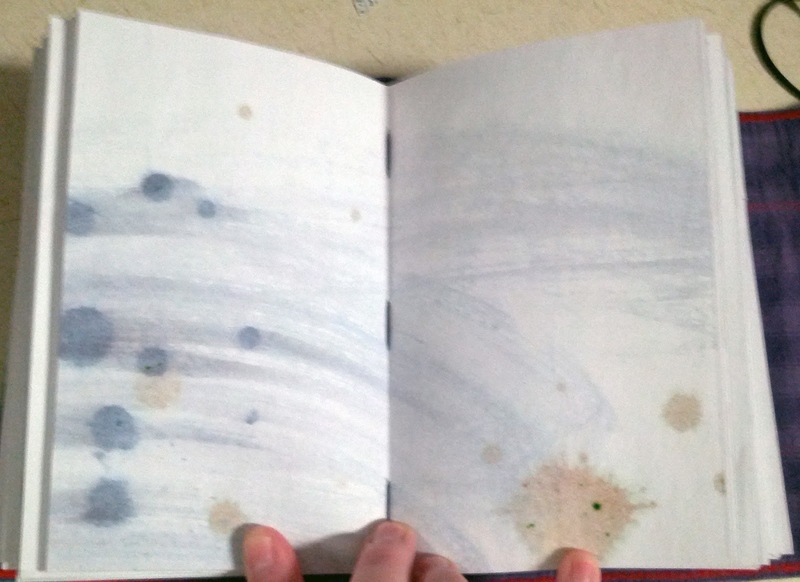 Then I hit it with water again. 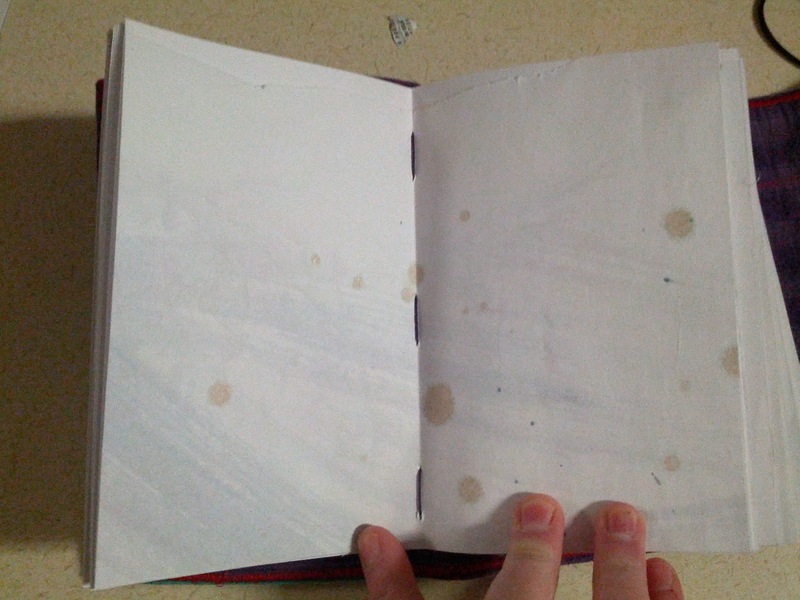 I want a good bleed. 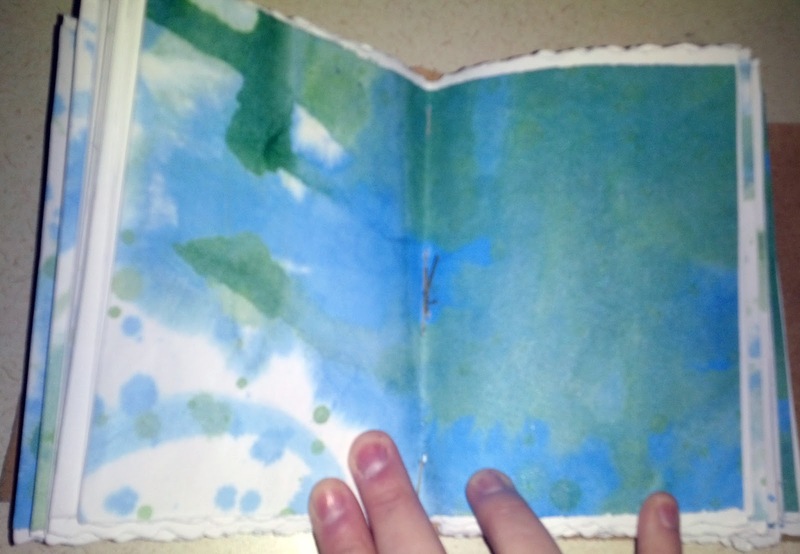 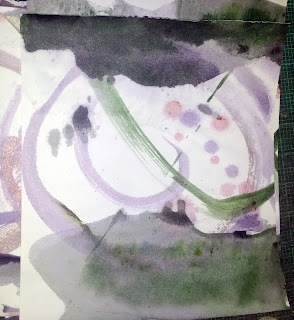 Sometimes the colors pool all over the paper so I might lift up one end and let it run down to the other end. 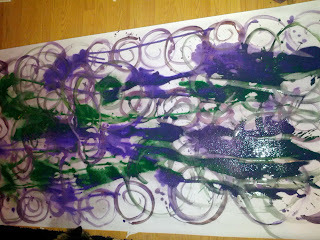 This takes a few hours to dry completely. 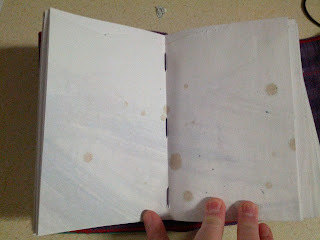 When done I mist with water and let dry under weight to flatten it all out then cut into nice signature sized sections and use it for the inside and outside pages of each. 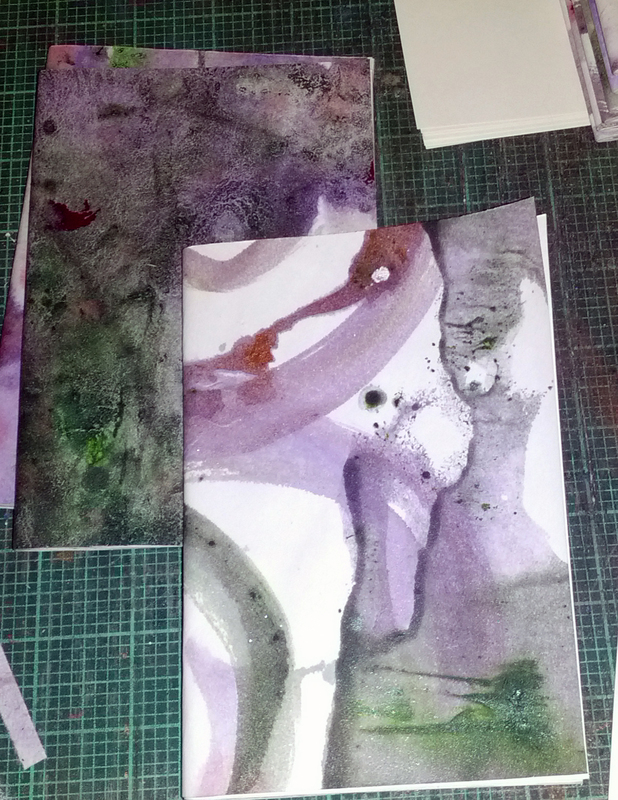 The mess goes from horrific to beautiful by the end.